This interactive site uses illustrations and photographs along with text to explain the movement of tectonic plates and the result of this movement on the surface of the Earth. 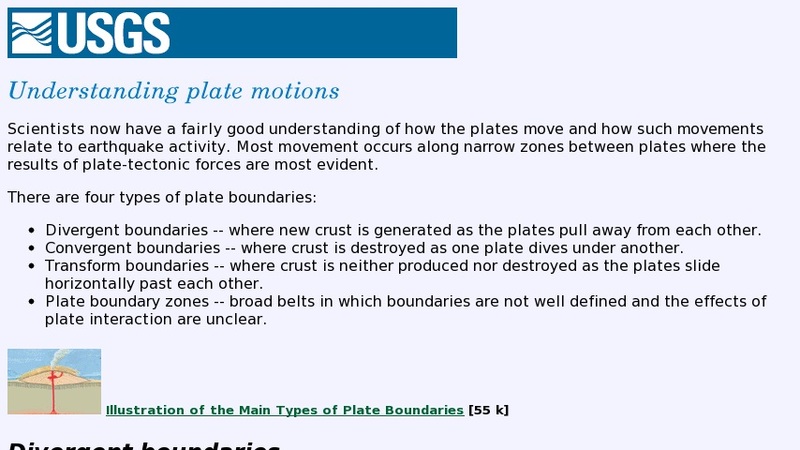 There is a detailed discussion of the movement at each of the four types of plate boundaries: divergent, convergent, transform, and plate boundary zones. Both lateral and vertical movements are depicted by maps and diagrams and resulting Earth structures are shown in photographs.